SIFF is particularly proud of the representation this year. Over 25% of the films are directed by women and over 50% are from first- and second-time filmmakers. That’s not necessarily a mark of quality or innovation but it does allow audiences to discover young filmmakers at the beginning. And yes, the 400 films is a drop from last year’s count but that’s not necessarily a bad thing. There’s still twice as many features than even the most obsessive filmgoer could possible watch. There are plenty of gala events, with parties following the screenings of Landline (which reunites Obvious Child director Gillian Robespierre and star Jenny Slate, both slated to attend), The Trip to Spain (the third Trip with actors Steve Coogan and Rob Brydon and director Michael Winterbottom), and The Little Hours (Chaucer reworked with modern sensibility), and Seattle drag icon Robbie Turner presenting an original live revue with the screening of Cabaret (1972). SIFF pays tribute to actress Anjelica Huston with the world premiere screening of her new film Trouble (with the actress in attendance) and revival screenings of The Grifters (1990) and The Witches (1990), and presents “An Afternoon with Sam Elliott” featuring an on-stage interview with the actor and a screening his latest film The Hero. Seattle is the home of Amazon and Amazon Studios is duly represented, from opening night film The Big Sick and centerpiece gala Landline to the drama Crown Heights, adapted from a true story presented on “This American Life,” and the documentary City of Ghosts, about activists in Syria documenting the assault of ISIS. Among the 23 world premieres are homegrown comedy Rocketmen from local filmmaker Web Crowell, family friendly animated feature Tea Pets from China, and the documentaries The Fabulous Allan Carr and Kakehashi: A Portrait of Chef Nobuo Fukuda. There are 33 North American premieres, including the historical action epic God of War from China with Sammo Hung and Vincent Zhao and the South Korean drama Come, Together, about the modern life coming apart at the seams. Of the 7 U.S. premieres, the most promising appear to include the horror comedy Vampire Cleanup Department from Hong Kong and comic thriller Small Town Killers from Denmark. Memorial Day weekend once again serves as ShortsFest weekend: every shorts program plays between Friday, May 26 and the ShortsFest Closing Night presentation and party on Monday, May 29. And the regional showcases China Stars (ten features and a program of shorts from the Beijing Film Academy) and Africa Pictures (nine features) are back, along with Culinary Cinema, Northwest Connections, and Face the Music. And, of course, my favorite section is the selection of archival films, which includes the recent restorations of the Marx Bros.’s Animal Crackers (1930) and Marcel Pagnol’s The Marseille Trilogy (screening over three days on Memorial Day weekend), the newly restored silent landmark The Dumb Girl of Portici (1916), an early big budget spectacular directed by Lois Weber and starring ballet legend Anna Pavlova, and a special presentation of Douglas Trumbull’s Brainstorm (1983), followed by a panel discussion. And while it is hardly a classic, I can’t wait for Those Redheads from Seattle (1953), restored to its original 3D presentation, direct from the TCM Classic Film Festival. The complete schedule is now live, tickets are now on sale SIFF members and will be on sale for the general public on Thursday, May 4 (ticket page here), and free festival guides will be available at SIFF theaters and Starbucks locations later this week. 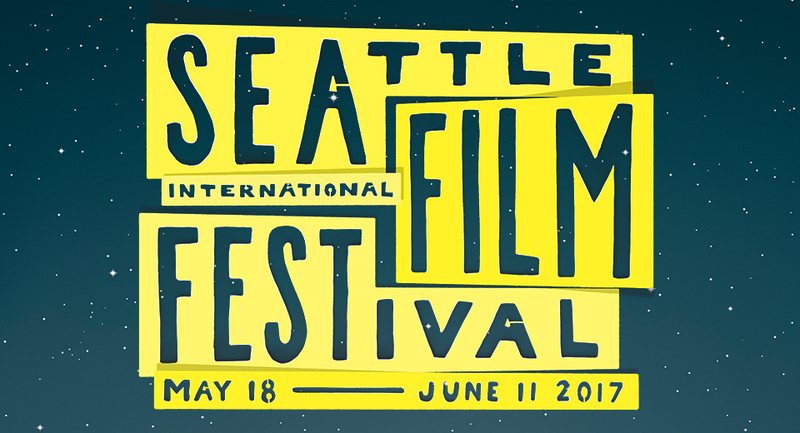 The SIFF 2017 website is here (bookmark it for updates). Parallax View will continue its tradition of gathering the best SIFF coverage in a curated guide to web resources beginning opening weekend. The complete press release is below the trailer. Robertson, Charlie Patton to Buffy Sainte-Marie?get a much-deserved showcase in this celebratory exposé of the indigenous influence on the soundtrack of popular culture. While the emerging tech behind-the-scenes of virtual reality and 360° have been evolving over the past few years, 360° filmmakers and VR content creators have been organically evolving a new language and tools for storytelling in this space. WonderTek Labs has curated a selection of some of the best in 360° storytelling from creators from the Seattle region and around the globe, showcased on Google Daydream headsets, that highlight a spectrum of where 360? storytelling is today. Are you a filmmaker who wants to learn more about transitioning to 360?/VR, or a VR dev who wants to connect with filmmakers? Do you have a 360? or VR project in mind and want to connect with other folks interested in working on projects? Do you have expertise to share, or things you want to learn? The 360?/VR Storytelling PlayTank is a hand-on, interactive event intended to bring together the Seattle 360?/VR and filmmaking communities for a morning of topical small-group breakout conversations, hands-on demos and workshops, and informal opportunities to connect like-minded creatives, show personal projects and demos, and learn about emerging technologies. The PlayTank will kick off with a Geekout Breakout Session Breakfast, where participants will join small, mentor-facilitated, small-group breakout sessions on topics including Spatial Audio, 360? Production and Post Production, Branching Narrative in 360? Storytelling, 360? Documentary Storytelling, and Ethics in Developing 360?/VR Content. Mettle CEO Chris Bobotis will be on hand to present a hands-on workshop for Mettle’s 360? editing plug-ins for Adobe Premiere. Bring your laptop to participate (you must have Adobe Premiere; you can download a free 30-day trial version if you don’t own Premiere). Participants will receive a free temporary license to use Mettle’s products as a part of this workshop. Upstairs in the PlayTank, participants will explore hands-on demos and workshops, and grab another coffee and connect organically with others in the community. The PlayTank is an open and collaborative space. Participants are encouraged to bring their own laptops and demos to share.